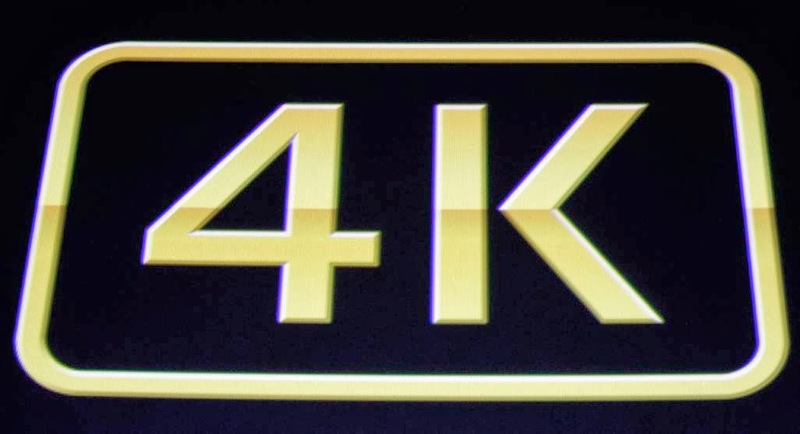 Sean J Vincent Blog: 4K - What's it all about? 4K - What's it all about? 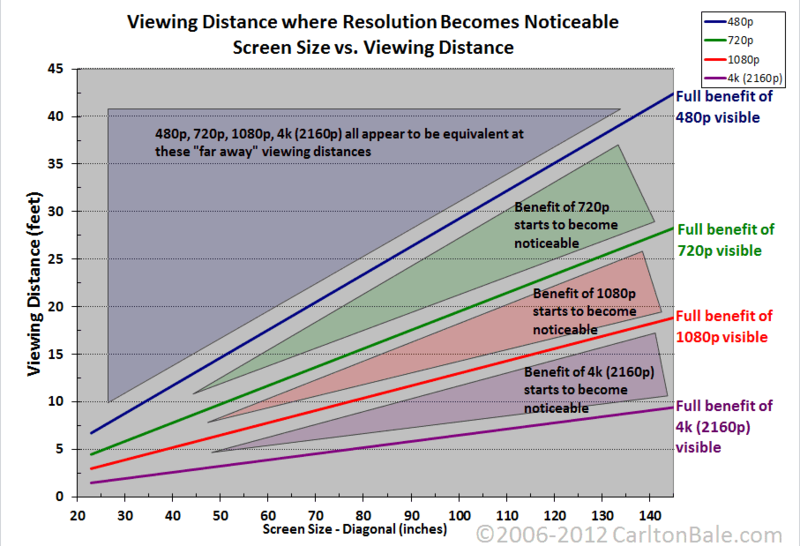 To begin with, 4K is not 'what we see at the cinema'.. that's a fallacy. Most digital projectors in cinemas are 2K or sometimes just HD. It's very rare to see a 4K projector in a regular cinema. Do people go to the manager and demand their money back because they watched the latest blockbuster in 2K or HD? No... of course not. Nearly all of the Oscar nominated pictures this year were shot at resolutions way below 4K. Most we shot on Arri Alexas or other similar cameras capturing between HD (1080p) and 2.8K. Did anyone think this year's crop of films look sub-par? Not enough resolution for you? Of course not. Then there's the total mis-understanding of resolution in the first place. A 4K image from a sensor that doesn't have a similarly high spec'ed dynamic range and and bit depth isn't going to look any better, if actually better at all, than a top notch HD image. Why is the Arri Alexa so popular? It has an excellent dynamic range, a high bit rate and probably the best de-bayer in any digital cinema camera - and that adds up to an image the beats most 4K images. Adding pixels increases noise, increases the chances of getting moire and doesn't create a more filmic image in it's own right. Resolution is only one part of the solution. Let's say you decide that 4K is future proof. Is it really? What 4K viewing options are there right now? There's no 4K broadcasts. No domestic 4K media and just about nobody has a 4K TV or 4K computer monitor... So who's going to benefit? You? No... you'll have to find room for approx 15GB per minute of RAW 4K footage. Yes... that's 15GB for each minute. Remember, you need it to exist in 3 places before it can be considered 'safe'. That's 45GB per minute. 1 Hour of footage? That's just under a TerraByte. I don't know what your shooting ratio is, but i could easily shoot 10 hours for a 90minute feature. You might be thinking that it's ok because Hard Drives are cheap. True... but you need to have expensive media to capture onto first and then that needs 'laying off' to 3 other drives. Even with ThunderBolt... that's a lot of work. You will definitely need a camera assistant or DiT to help. What about your edit system? Can your ageing iMac or Macbook Pro cope with 4K editing? Probably not very well. You'll need a new Mac Pro or you could make proxies of all your footage and edit from them before doing a conform at the end. So that means making proxies of all your footage... another long step to consider. I'm sure you get my gist by now... 4K is not the saviour of digital video. It's a huge pain in the arse unless you have a lot of money to play with and you don't mind it impacting on the whole production process from shooting, file management and backing up to render times output and eventually, screening. The world is not set up for 4K yet. I've said it before and i'll say it again. Well shot HD looks stunning on a huge cinema screen. Spend your money on better lighting, better lenses and better talent.... it will be much more apparent. I think the most interesting camera on the horizon, has to be the VariCam35 from Panasonic. After sitting back and watching the scramble for 4K, i think they might just do something great. Especially after seeing the GH4 from their consumer/stills dept. Lastly.. i am not completely anti 4K. Clearly, the images from a 4K camera have some advantages, but i'm not seeing enough to make me want to move up to that amount of hassle yet. When someone brings out an external recorder that can capture 4K Pro Res HQ (i really don't need RAW...and you probably don't either) and a camera comes along that has matching dynamic range, low light capability and a sensible price tag.. i'll certainly think about it. But, right here, right now... the rush for 4K means there's some unbelievable deals on high-end HD cinema cameras....and their images are going to trounce budget 4K any day of the week.